App-controlled landscape lighting systems allow homeowners to adjust their lighting through a computer, smartphone or tablet. Do your clients want the ability to control their landscape lighting? Because there’s an app for that. App-controlled landscape lighting systems have been on the market for about two years, and some contractors are seeing an increase in clients interested in the ability to operate their lighting systems from the convenience of a computer, smartphone or tablet. Manufacturers are responding to this demand by improving technology and introducing more products that are easy for contractors to install and easier for homeowners to operate. 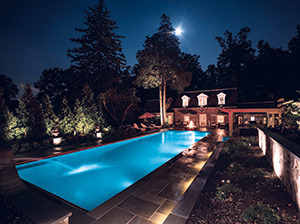 With an app-controlled landscape lighting system, the app controls the system’s transformer, which sends commands to the system’s different zones. Through the app, the homeowner can dim or brighten the lights, change the time the lights turn on and off or change the color of the lights if the system has that feature. 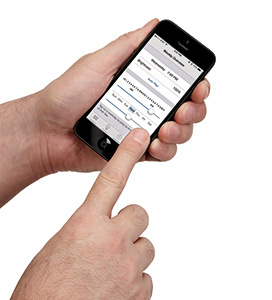 Most products operate through a Wi-Fi or Bluetooth connection, depending on the manufacturer. For example, the app-controlled transformer manufactured by Vista Professional Lighting in Simi Valley, Calif., operates via Bluetooth. Danny Cuñado, product manager, says the company chose Bluetooth instead of Wi-Fi to make installation easier for the contractor. With Wi-Fi, the contractor needs access to the homeowner’s wireless IP address to set up a connection. With Bluetooth, the contractor can virtually plug in and go. While installation may be easier, the downside to a Bluetooth connection is it has a shorter range than a Wi-Fi connection, which can be a problem on large properties or on properties with large transformers. Unique Lighting System’s newest app-controlled product builds on the company’s original wireless control system with the addition of an internet gateway and a mobile app. Homeowners have the ability to remotely control up to four scenes, including water features, gates and seasonal lighting displays. Scott Erickson, owner of Erickson Outdoor Lighting in Mound, Minn., says he has seen an increase in the number of clients requesting lighting systems they can operate with their phones. Erickson, whose company offers outdoor lighting services to a 95-percent residential clientele, says the app-controlled products aren’t something he’s pushing just yet, but he has installed a few systems for customers who have asked for them. Erickson says the system installation is straightforward, but he has run into technical glitches, such as the transformer not picking up the signal or noise on the line. He notes he’s had good experiences with manufacturers’ technical support staffs, which have been able to walk him through any issues he’s come across. For example, he sold an app-controlled system to a high-end neighborhood in Minneapolis so the community could change the color and the look of the lighting based on different events or holidays. “I pushed that project because it was a pretty flashy neighborhood, and I knew it was a customer who didn’t have budget restrictions,” Erickson says, adding that app-controlled lighting system transformers can cost up to three times more than a typical transformer. Cuñado confirms the app-controlled transformers cost more, and the price fluctuates based on the size and scope of the project. For example, Vista Professional Lighting’s transformers range from 75 watts to 600 watts, and the price will increase accordingly. The company offers training programs to help contractors learn about the systems and suggests contractors sell them by emphasizing their convenience and ease of use. Cuñado says he has seen contractors sell them both as an upgrade and as part of the original installation package. Phil Colarusso, owner of Luminated Landscapes in East Aurora, N.Y., is a bit skeptical about the current landscape lighting app frenzy. 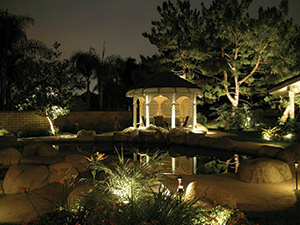 Colarusso, who has provided landscape lighting services to a 95-percent residential clientele since 1989, compares the trend to the movement toward LED lighting. When he started experimenting with LED about five years ago, he would spend $125 on a bulb that was “absolute junk.” But manufacturers have come a long way, Colarusso says, and now provide quality LED bulbs. He predicts a similar progression when it comes to app-controlled landscape lighting systems. Colarusso has an app-controlled landscape lighting system on display in his showroom but has yet to have a client buy in to the idea. He predicts the trend will pick up speed as the technology improves and more homeowners become familiar with it. Manufacturers agree that, with the growing use of smart devices and apps to control things as diverse as garage doors, heating and cooling systems and doorbells, the landscape lighting system is a natural next step.